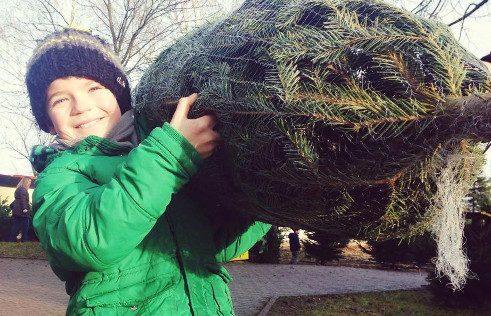 Spreading the enchantment of Christmas: Visitors to Uhlandhof farm in Schwabenländle can chop down their own tree while enjoying the festive atmosphere lovingly created by the Gallus family. In her everyday life, Katie Gallus treads the stages of the world as a presenter. But every year during Advent, she returns to her roots in the Swabian Alps to take part some special Christmas magic. The Gallus family farm, Uhlandhof is nestled in the hills between Stuttgart and Ulm. During the Christmas season, it is transformed into a winter wonderland. Uhlandhof is a holiday paradise in the run-up to Christmas, especially for families with children. 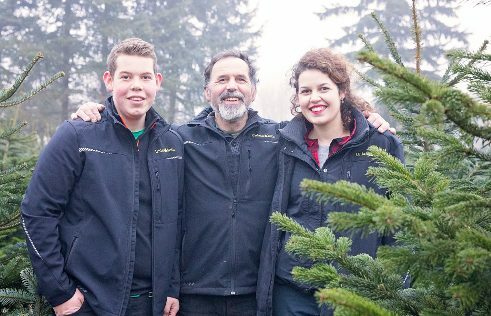 The Gallus family offers a varied holiday programme, and visitors can wander the spacious farm to find and chop down the perfect Christmas tree. According to Katies, the children usually have last word on which tree goes home in the end. Katie and her father and brother love all the old Christmas traditions. They hold a traditional Christmas market in the spacious inner courtyard on every weekend during Advent, and the farm hosts Christmas shows with live music and backhoe demonstrations for (mostly male) fans of farm machinery. Traditionally, the 2nd of Advent is the most popular with around 6,000 visitors. 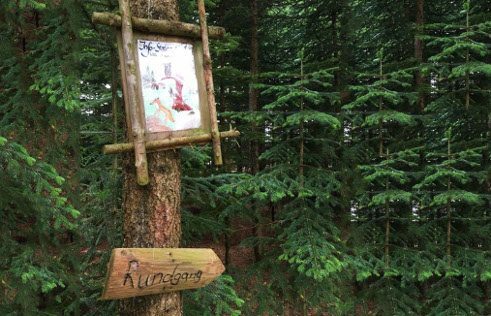 Visit the Hutzelwald to learn more about the unique ecosystem of a coniferous forest and how they are grown. Katie’s father planted a new pine forest in celebration of her birth. He explains the forest ecosystem, in a verdant woods transformed into an enchanted forest by fairy lights and wood carvings of forest animals. A visit from the Christmas Queen is quite an honour for a lowly fir tree. 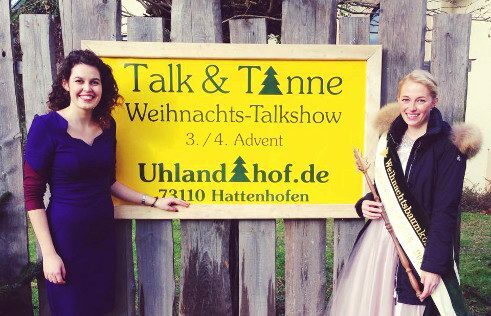 The official representative of the Bundesverband für Weihnachtsbaum- und Schnittgrünerzeuger in Deutschland (German Christmas Tree Growers Association) is crowned “queen of the Christmas green” for a two-year reign. No royal schedule would be complete without a visit to Uhlandhof. 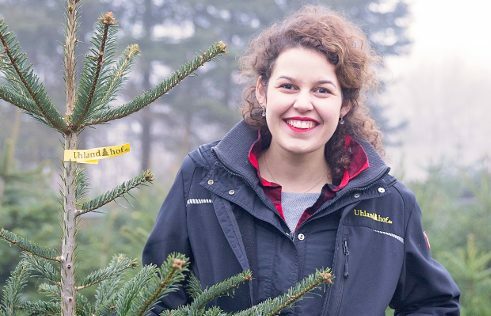 Uhlandhof is not just for families looking for a Christmas adventure; wholesalers also come to buy trees for the local market and beyond. 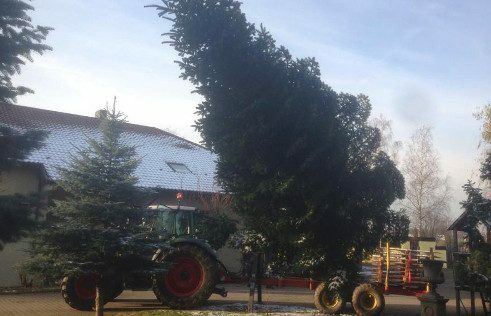 Many towns and cities depend on the farm to provide the gorgeous, eight-metre Christmas trees that grace their marketplaces. Gallus fir trees have travelled the world to mark the season, some even as far off as Singapore. “The farm is where I recharge. I really enjoy catching up with old friends and working with my hands,” Katie says. 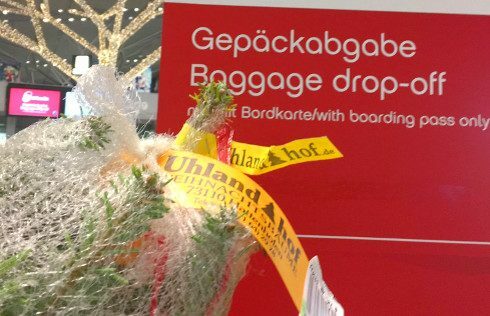 To keep the spirit alive in Berlin, she always tucks a small tree into her luggage on the return flight – much to the amusement of airport staff.